Thanks to a new partnership between T.H.E. Insurance Company and Aviation Insurance Resources (AIR), pilots still have a choice on their hot air balloon insurance. Current T.H.E. clients will soon be receiving a notice of non-renewal due to the sale of the previous representing agency, but have no reason to be concerned. The pilots and agents at AIR immediately stepped in to ensure lighter than air pilots have a choice in their insurance. Patrick A. Smith, the project manager of the Lighter Than Air division at AIR is a commercial multi engine rated pilot, certified flight instructor, and LTA pilot. He has logged over 3,000 hours since 2004 and has been flying balloons since 2009. Since 2011 he has been operating his family-owned hot air balloon ride operation, and is currently flying a Kubicek 130 and providing promotions in a custom built Padelt 36 cloud hopper. Patrick and the AIR team promise superior customer service that AIR has built its reputation on. And Balloon owners and Pilots can expect a new and simple policy application process. In celebration of this new partnership, AIR will be raffling off a free Digitool for pilots who sign up for the AIR newsletter or request a quote! Visit www.AIR-PROS.com/LTA to sign up and to obtain your free insurance quote today! T.H.E. has been a leader in the lighter than air insurance industry for the past 9 years, with a dedicated claims and underwriting staff. 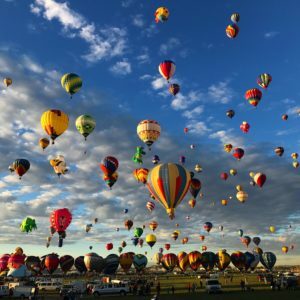 With this new partnership they continue to be one of the leading hot air balloon insurance providers in the United States. For more information on T.H.E. visit theinsco.com. Since 1999, AIR has remained closely connected to the industry they serve, many of their customers are friends and some are even family. This is because all the agents at AIR are pilots and understand the needs and challenges in owning or renting an aircraft and aviation related businesses. No matter your involvement in aviation, AIR can provide a comprehensive yet economical solution for your needs. For an aircraft insurance quote call 301-898-2120 or fill out a quote request online today. PreviousPrevious post:Glider Aircraft InsuranceNextNext post:Hot Air Balloon Insurance – You Deserve a Choice!